Remodel or Move: Should I Sell My House or Renovate and Stay? When the house you once loved no longer seems to fit your needs, you are faced with the decision whether to remodel or move. It is not an easy decision to make for most people. There is the stress of moving, selling your existing home, and finding the “perfect” new home for your family. Deciding between renovation and relocation is no easy task. It takes careful thought, planning, and getting the right information to help you make an informed decision. The first thing to do is to ask yourself why are you considering remodeling vs. relocating? Are you bored with your current home? Have you outgrown your house or need more space? Do you hate your neighborhood – or love it? Are you looking for better schools? These are only some of the reasons why you may be considering moving to a new location. Just remember, when looking to remodel or move, the grass is not always greener on the other side of the road. To help you decide whether it is best for you to remodel or move, we are going to highlight the pros and cons of each option. You love your neighbors, neighborhood, yard, house, local schools, location, etc. and want to stay where you are. The thought of moving away from years of memories makes you sad. You do not have to go through the process of getting your house ready to sell and packing everything up to move. There are no open houses to deal with, commission fees to pay, and strangers judging your home and its belongings. You get to determine what renovations to make, budget for your home renovation costs, and even decide if a home renovation loan is a worthy investment. The house you love will be exactly what you want after you complete the remodel. Adding onto house may be more cost effective if you need just one more room than moving. You will have to live in a construction zone for quite some time if the renovations are extensive. Or, include the cost of staying in a hotel or with family during the remodel. Not having a livable or working kitchen, bathroom, bedroom, can be stressful. There may be surprise expenses that add to the anticipated cost of your remodel. You may still have to pack up an entire room or much of your house for the renovations. The cost you incur may not translate to increased market value when you do decide to sell someday. You get to start fresh in a new house and neighborhood – often a good choice if you do not have sentimental value in your current home or close relationships with your neighbors. Opting for buying new construction means you get to have a say in your flooring, appliances, layout, and extras. You can customize the home the way you want it. There is no construction zone to live in. You do not have to stress over when the work will be complete, and you can get back to your normal life. You will not have to deal with contractors if the home you select is move-in ready. Finding a home that has already been remodeled saves you the headache of going through it yourself. Although you have an idea of what you want in your new home, you may not find anything on the market that meets your needs. The decision to relocate may mean sacrificing some of what you wanted in a new house. Sticker shock – the prices of homes in the area you want to live may be out of your budget. Leaving a neighborhood you love. If you are moving to a different school zone, how will that impact your children? Moving costs are often more expensive than people realize. Remember to figure in the fees for the movers, any upgrades you need, closing costs, and realtor commissions on the house you sell. Before you make any decision, you may want to speak with a realtor about how much to renovate a house that you currently live in. Find out if the changes you want to make will pay off someday when you go to sell. Will a remodel loan be more cost-effective than a new mortgage? These are all things to consider before moving forward in either direction. 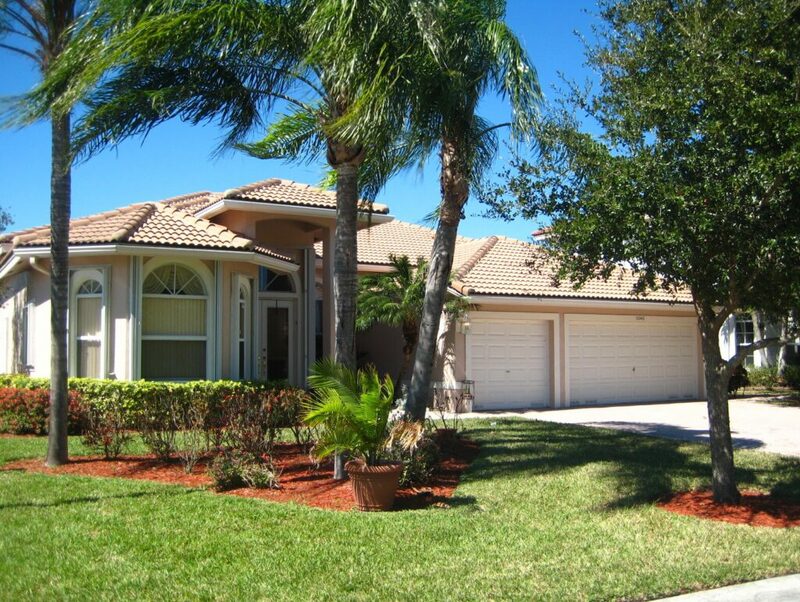 The team at Great Florida Homes can help you determine if it is best for you to remodel or move to a new house. Residents in Parkland, Coral Springs, Coconut Creek, and surrounding areas have relied on us for years for guidance in the right direction. Contact us at (954) 695-SOLD. We are here to help. We are your South Florida Real Estate resource! Looking for a trusted vendor to work on your home? Questions about the real estate process? Our team can help! We offer seller incentives! We don't just LIST homes, WE SELL THEM! Copyright © 2019 Keller Williams Realty. - a real estate franchise company. All information provided is deemed reliable but is not guaranteed and should be independently verified. Properties subject to prior sale or rental. Each brokerage is independently owned and operated.